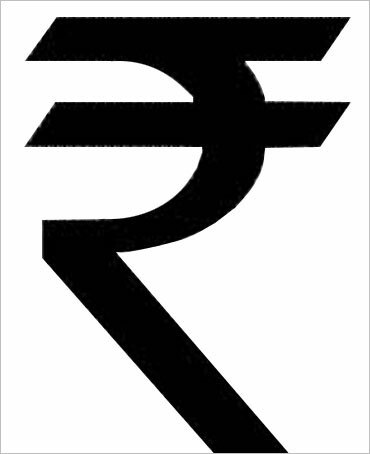 Finally, the Rupee has a symbol like other major global currencies! In a historic event, a five-member jury set up to finalise symbol for the rupee selected the design presented by IIT-ian D Udaya Kumar. The Union Cabinet approved the symbol on Thursday noon. The Indian rupee is now the fifth currency in the world to have a distinct identity. The rupee will join the elite club of US dollar, British pound-sterling, Euro and Japanese yen to have its own symbol. Speaking to rediff.com on Thursday, a proud D Udaya Kumar said: "My design is based on the Tricolour, with two lines at the top and white space in between. I wanted the symbol for the Rupee to represent the Indian flag. It is a perfect blend of Indian and Roman letters: a capital 'R', and Devanagari 'ra', which represent rupiya, to appeal to international and Indian audiences." "I worked on it for few months and made numerous designs. Finally, I shortlisted 8 to 10 designs and then refined them further till I got this one," he said. "I will be joining the design department at IIT-Guwahati on Friday, and am overwhelmed by the response so far. My phone has not stopped ringing since morning," he added. Meanwhile, Information and Broadcasting Minister Ambika Soni said after the Cabinet meeting in Delhi on Thursday that the symbol will be printed or embossed on currency notes and coins. Soni said that the government will try that the symbol is adopted within six months in the country and globally within 18 to 24 months. The symbol will feature on computer key boards and software so that it can be printed and displayed in electronic and print, she said. Soni said it would also help in distinguishing the Indian currency from rupee or rupiah of countries like Pakistan, Nepal, Sri Lanka and Indonesia. Image: This could be the symbol for the Indian currency! 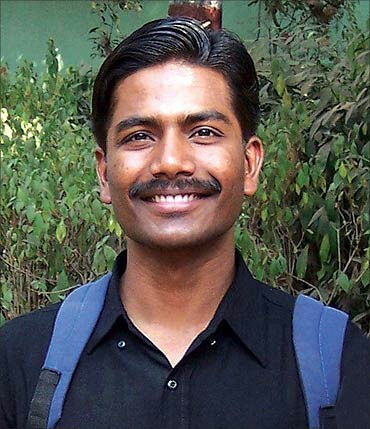 Kumar was one of the five finalists whose designs had been shortlisted for final approval. Kumar, however, was very hopeful of winning the Rupee symbol design contest. Speaking to rediff.com in January, he had said that there was an underlying common element in all the five designs that were short-listed. Most of the developed countries have a symbol for their currencies and it is important for a country for India too to have a symbol for the Rupee. Udaya Kumar's design is based on the Tricolour and 'arithmetic equivalence'. The white space between the two horizontal lines gives the impression of the national flag with the Ashok Chakra, the two bold parallel lines stand for 'equals to', representing balance in the economy, both within and with other economies of the world. "It was a challenge to design the symbol for the rupee. I made sure that it is simple, easy for a common man to understand, write and recollect," Kumar said. Image: D Udaya Kumar, whose design has been selected for the Rupee symbol. He was doing research at the Industrial Design Centre (IDC) at the Indian Institute of Technology-Bombay (IIT Bombay), on the evolution of the Tamil script and typographic transformation which took place from palm leaf manuscript to early letterpress printing. He has now been appointed as faculty at IIT Guwahati's Department of Design. Presenting the Union Budget this year, Finance Minister Pranab Mukherjee had said in the ensuing year, we intend to formalise a symbol for the Indian rupee, which reflects and captures the Indian ethos and culture. "With this, the rupee will join the select club of currencies, such as the US dollar, British pound sterling, euro and Japanese yen that have a clear distinguishing identity," he had said. The finance ministry had also declared prize money of Rs 2.5 lakh for the finally selected design. Currently, the abbreviation of the Indian Rupee, 'Re' or 'Rs' is also used by Pakistan, Nepal and Sri Lanka. 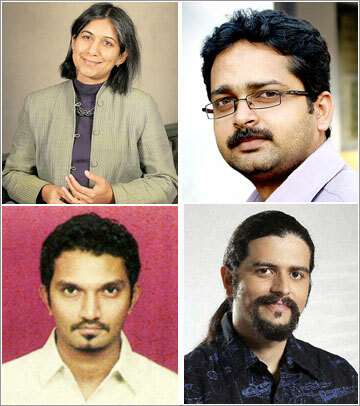 Image: Other finalists: (Clockwise) Nondita Correa-Mehrotra, Shibin KK, Shahrukh Irani, Hitesh Padmashali.